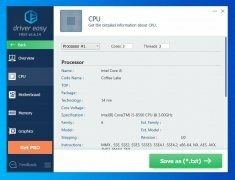 Explained frankly, a driver or controller is the software that takes care of acting as an interpreter between the operating system and the computer's hardware, whether internal or a peripheral. Not having the latest version can affect the malfunctioning of some of its components, therefore, it's always a good idea to have them updated. 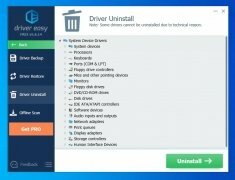 For such purpose, we can download tools of the likes of DriverEasy, a software capable of searching for updates for all the drivers installed on your computer, downloading them, and updating them automatically. 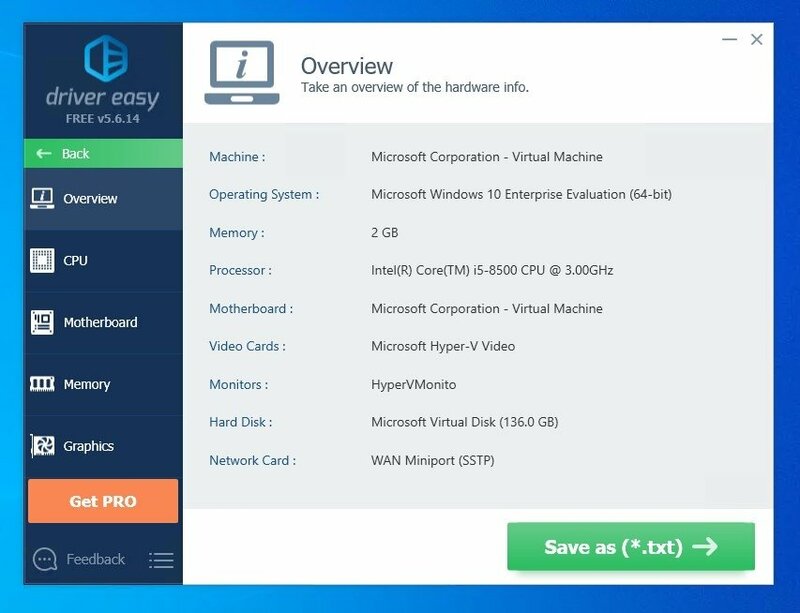 Update your PC controllers in the fastest and easiest way possible. Huge driver database with over 8 million references. Keep all your drivers updated to the current date. Detects and downloads drivers automatically. 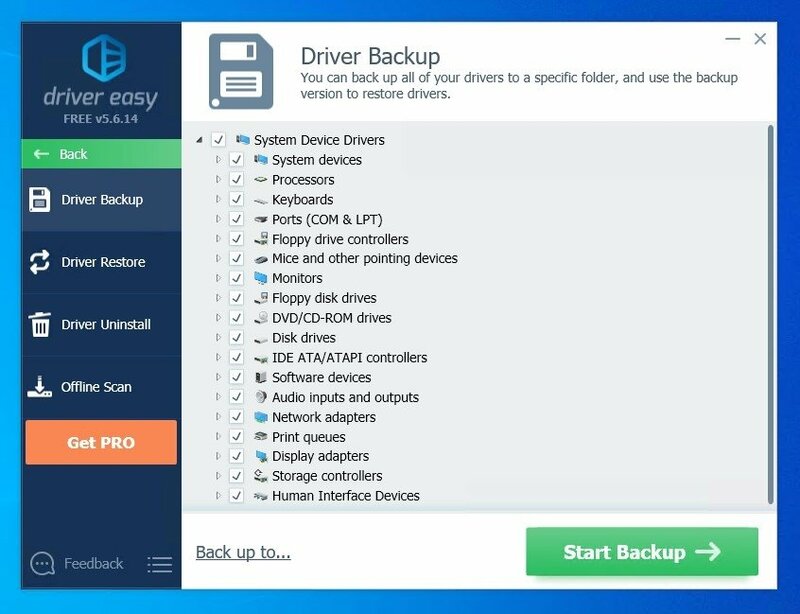 Carry out backups of your drivers and restore them in the case of any problem. 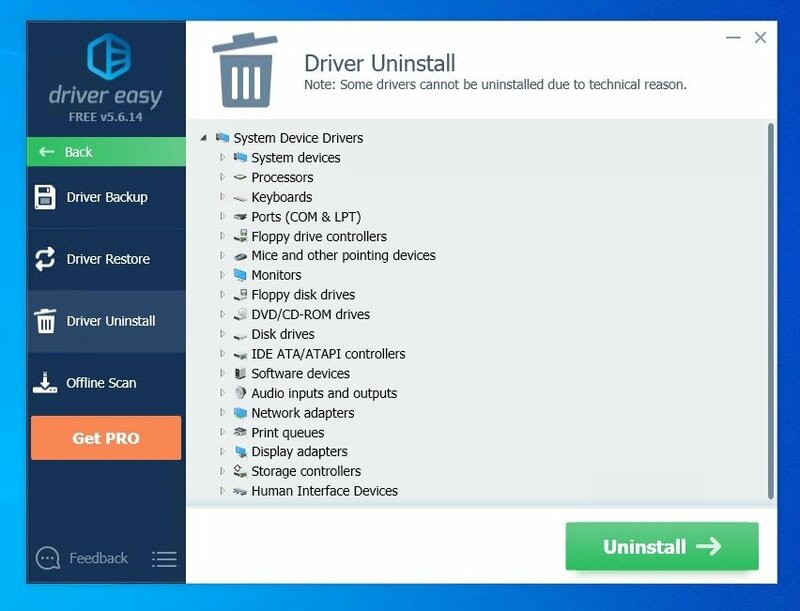 Uninstall previous drivers if you install new hardware devices on your computer. Find and repair missing, outdated or lost drivers. 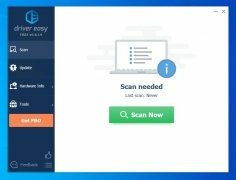 Easy to use: scan with a single click. 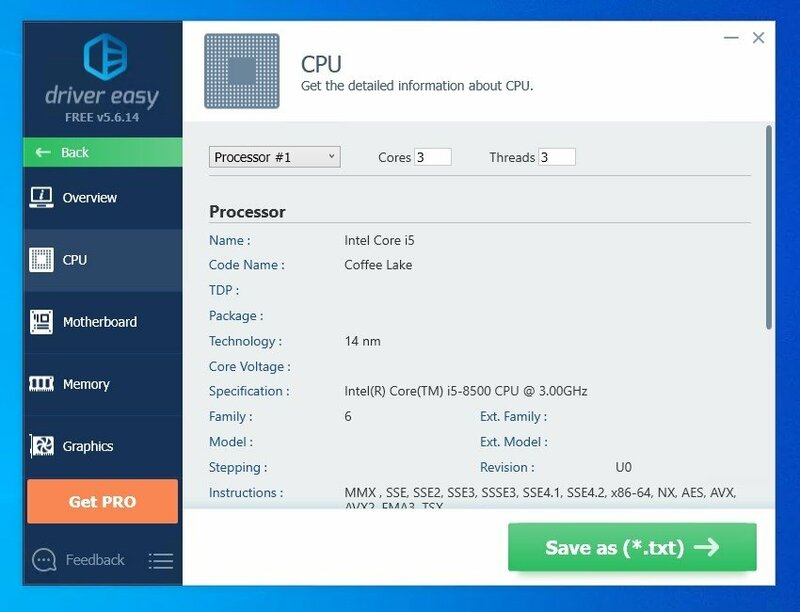 Receive complete information about the system and the computer's components. You can download a free version without an expiry date. With the latter, we can scan and detect all those drivers we want to download. However, the program's full or pro version offers a series of advantages regarding the free edition. 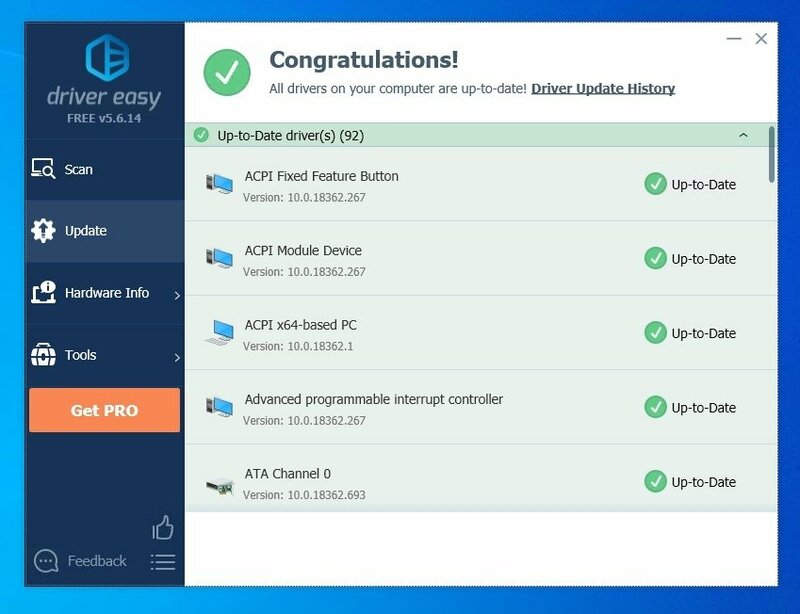 So, if you manage to get hold of a serial key you'll be able to make the most of additional functions such as the batch download and update of drivers, the creation of backups and restore points, and the uninstallation of outdated drivers. It's a very useful tool to have our computer always working in optimal conditions. It also comes along with clear and functional interface, from where we can run all the program's actions with just one click: just scan and let it do all the dirty work. 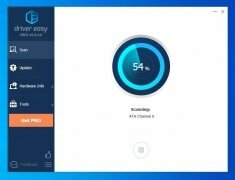 It's not the only alternative in this category that we can download for Windows: Driver Genius or Driver Booster are other efficient options available that also offer great results and are tools that are perfectly compatible with CCleaner which must be one of those essential apps in your toolbox to look after your computer and keep it in good shape, as well as any decent antivirus software. This application's license is free for personal use only.